Since his last performance here at the 2013 Formula 1 Singtel Singapore Grand Prix, fans have been eagerly anticipating his return to Singapore shores for a full-length concert. Now they will get the opportunity to catch the legend in an intimate setting for one very special evening. 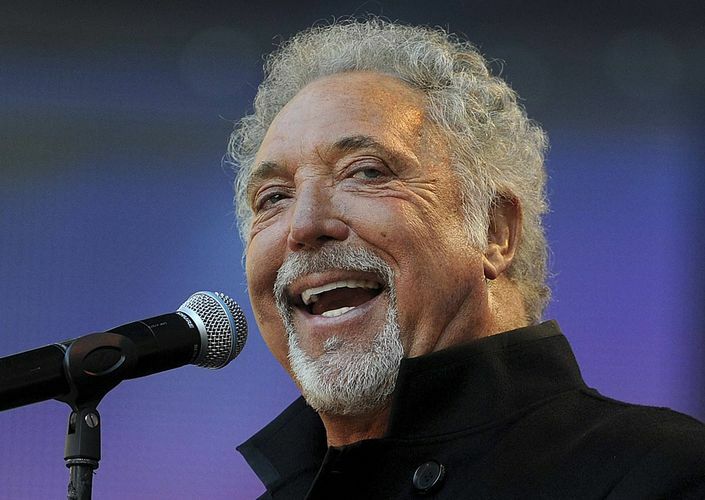 Tom Jones' 50-year career has remarkably gone from strength to strength. Along with sustaining his popularity as a live performer and recording artist for five decades, he has garneredat the age of 75the best reviews of his career for his most recent albums Spirit In The Room, Praise & Blame and Long Lost Suitcase (Island/Universal). Critics across the world are unanimous in their approval and admiration for both the recorded work and the performance of it in concert. Jones has a fundamental interest in a wide range of music. Although he is well known for hits including It's Not Unusual, Kiss, Delilah, What's New Pussycat, I'll Never Fall In Love Again, Green Green Grass of Home, Shes a Lady, Sexbomb, I Who Have You Nothing and If I Only Knew, he is first and foremost a rocker with a true rhythm and blues soul. He has remained a vital recording artist, with his 1999 album Reload the biggest selling (5m) of his then 35-year career. His 2008 studio album, 24 Hours, was a critical career highlight with many of the self-penned tracks being an insightful and evocative reflection of his spirited and rich life. 2010 saw Jones 'getting back to basics' with his 39th studio album, Praise & Blame, which was recorded as wholly live performances at Peter Gabriel's studio in Bath, England and produced by Ethan Johns (Kings of Leon, Ryan Adams, Ray LaMontagne, Laura Marling, Paolo Nutini). The result witnessed a singer at the top of his game, with the songs themselves coaxing exhilarating performances out of Jones and his band. Jones paired again with producer/guitarist Ethan Johns to release Spirit In The Room in 2012. Jones was knighted by Her Majesty the Queen in 2006, an honour he fervently cherishes. Other highlights of his long career include receiving a BRIT Award for Outstanding Contribution to Music, a Silver Clef Award for Lifetime Achievement, in 2009 the "Hitmaker" award from the US Songwriters Hall of Fame, and in 2010 the prestigious (UK) Music Industry Trust Award. In 2015, Jones continued his role as Coach on the 4th series of The Voice UK, working alongside Will.i.am, Rita Ora and Ricky Wilson. In February, a very special invitation was received to perform at the 25th Anniversary of MusiCares Person Of The Year tribute honouring Bob Dylan, alongside musical luminaries Bruce Springsteen, Beck, Jack White, Bonnie Raitt, Willie Nelson and many more. Jones also performed a duet with Jessie J at the 57th Annual Grammy Awards. Sir Tom is indeed a living legend, one of the few musical artists whose profession began at the dawn of modern popular music who continues to have a vital recording and performing career to this day. His irresistible show traverses musical eras and genres, cuts across class divides and appeals to young and old, male and female, mainstream and cutting edge. Godfather of modern soul, Sir Tom has always been about the power of the song, the power of the voice.